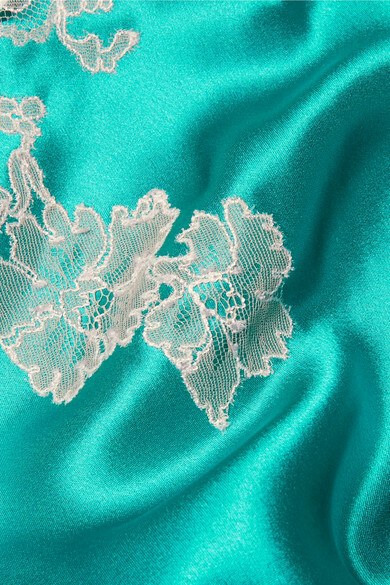 Carine Gilson's Chantilly lace is so unique and essential to the Belgium house, that every piece featuring the delicate fabric is instantly recognizable. This camisole is made from teal silk-satin that's frames the décolletage before floating over your hips. Complete your set with the matching shorts. Shown here with: Monica Vinader Necklace.